This year once again we at the Barrel decided not to send each other Christmas cards, instead at out Christmas meal we put the money in a pot that we would have spent on them. 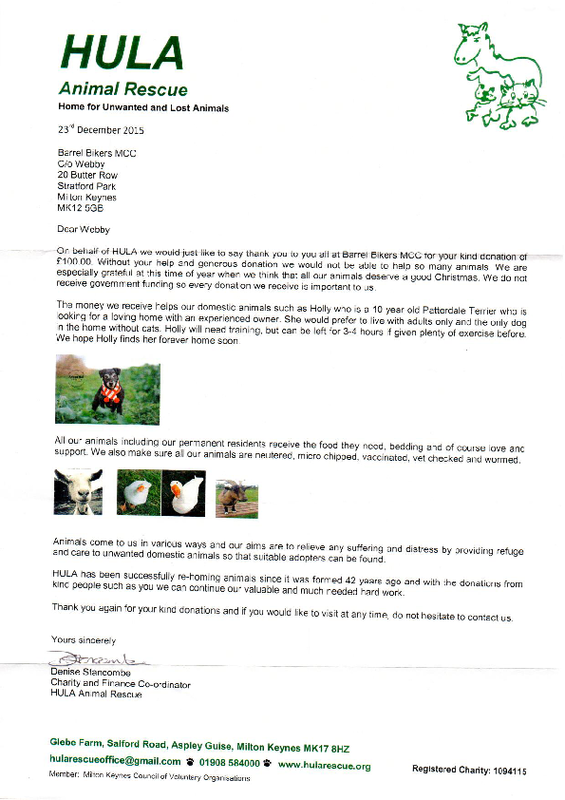 Our charity work last year. Hula Pet food run for our furry friends. 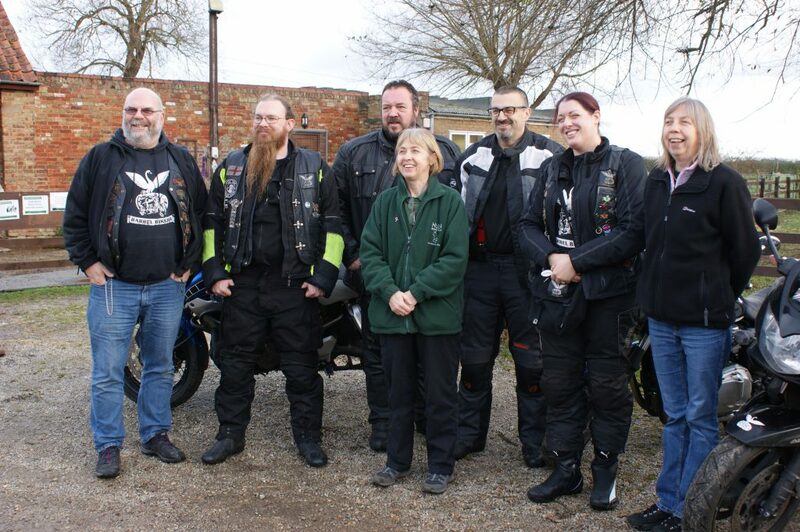 Thanks to Nicola for organising the whole thing and to Duncan & DM for leading the ride-out. 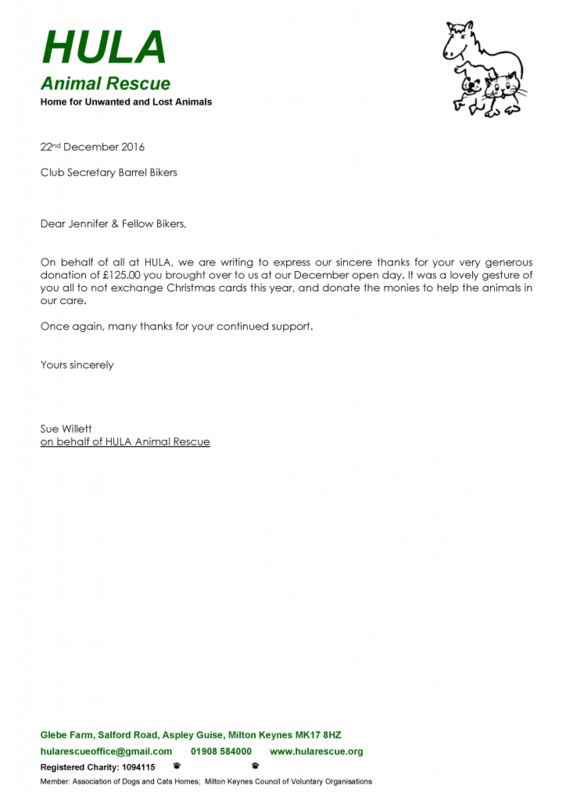 Helping our Furry friends this Christmas. As the Chair of the Penn Road Street Party Committee I am writing to thank you for all the help that the Barrel Bikers provided towards the Penn Road Street Party 2015. 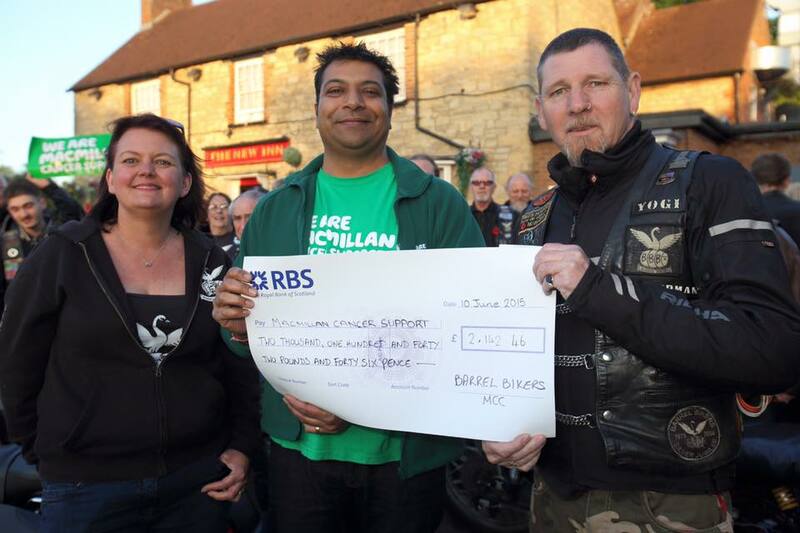 This year we chose to split the proceeds between Carers MK and Young Carers MK. We raised just over £1,500. Numerous Barrel Bikers helped in many different ways, in particular lending us lots of equipment, helping to set it all up, and setting off the fireworks (which were fantastic). Big John also brought loads of pasties up from Cornwall and Tim James provided the Young Carers with tickets for ice skating at Alexandra Palace. Tim also won the Start Prize in the raffle! I am pleased to confirm that every single penny people spent on their tickets, and every single penny people spent on raffle tickets, has already gone to Carers MK and Young Carers MK. 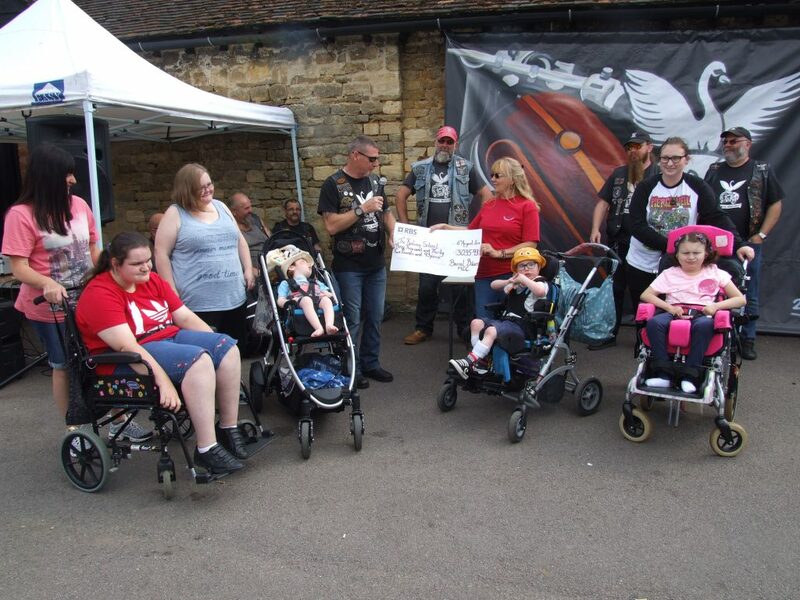 Once again everybody had a great time and it wouldn’t be possible without the help of the Barrel Bikers. Thanks again for your continuing support and please accept my apologies for not writing to you sooner. 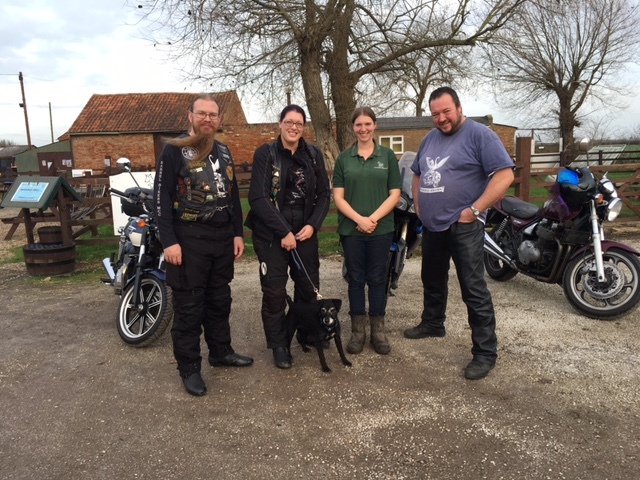 Yesterday we had an amazing morning riding up to the guide dog breeding centre to hand over a cheque for a huge £3341.71 thank you for such a warm welcome once again! To everyone who supported and helped us raise this! All content © copyright Barrel Bikers 1979 - 2019.